Canadian News : Ottawa Bar Box Championships Starts Today! The much anticipated Ottawa Bar Box Championships is set to begin play today and will continue on right until Sunday. This has been a popular event for some time now and sells out nearly every year. The big prize pool brings out some of the best bar box players from Ontario and Québec. 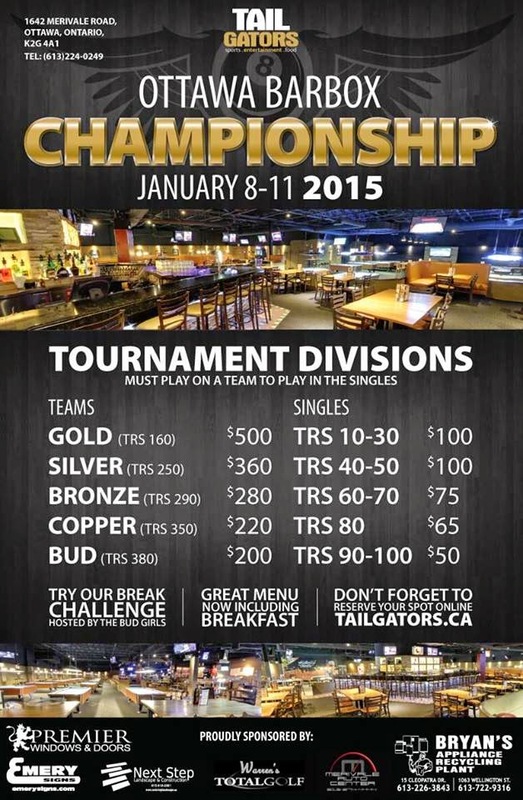 Tailgator's has become known for holding the biggest bar box tournaments in Eastern Canada and if you are a fan of great pool stop sometime during the next four days.. They have a great bar, full menu and a fantastic spectating venue - everything you need to get out of the cold and watch some top tier pool. 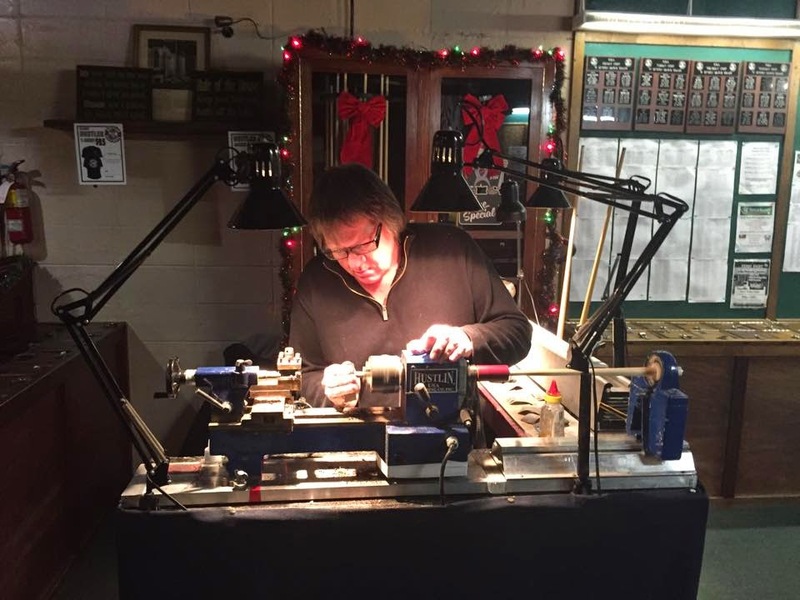 Also one of our sponsors Ron Benedict will be in attendance to shape and put on tips or to even do some small cue repairs if needed. 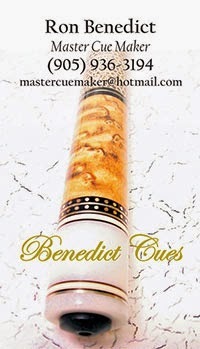 Mr. Benedict is well known in the G.T.A for his fine cue work, he has even made some of his own custom cues which he sells. A few short years ago John Morra actually won one of his Canadian titles using a Ron Benedict Custom Cue. So if you need his services this weekend make sure to stop in and see him, and let Mr. Benedict know you heard about him here at Cue Sport Nation.